It is time to re-think dry eye and how we treat it. In the past many eye care providers have provided dry eye treatment dictated by the patient’s subjective feedback-burning, tearing, fluctuating vision, discomfort with contact lenses, and excessive use of artificial tears. However, now, we know better. Increase in imaging technology has now given us the ability to see the damage and atrophy in important structures that help produce part of our tear film. This damage happens much before symptoms start. Much of this damage is occurring in the meibomian glands. Meibomian gland disease (MGD) is now recognized as the leading cause of dry eye. The meibomian glands line both the upper and lower lid. They secrete the outermost layer of our tear film-the lipid layer. 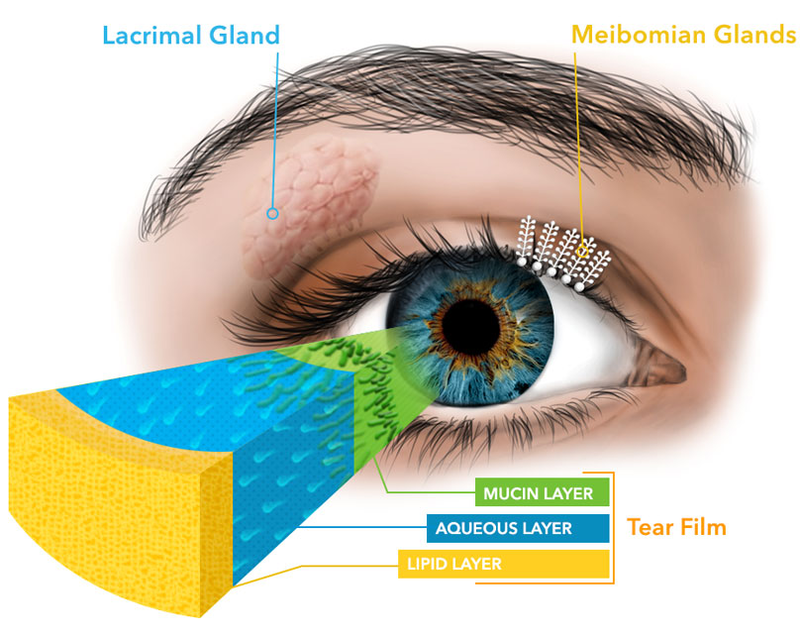 The lipid layer serves as a sealant layer of the tear film that protects the tears from evaporating. These glands can become plugged and can cause redness, irritation, poor comfort in contacts, to name just a few of the symptoms. Age, sustained viewing on digital devices, incomplete blinks, and environment can all help to lead to atrophy of these glands. The meibomian glands are activated with blinks and our blink rate is decreased with sustained viewing, ie computer or cell phone use. This lack of blinking also creates stagnant fluid in our glands. Instead of clear oil the glands become clogged. Again, without this lipid layer we lose the homeostasis between all 3 layers of our tear film. This imbalance leads to corneal desiccation. The ability to address both structure and function allows to help promote a healthy ocular surface by maintaining health of meibomian glands. 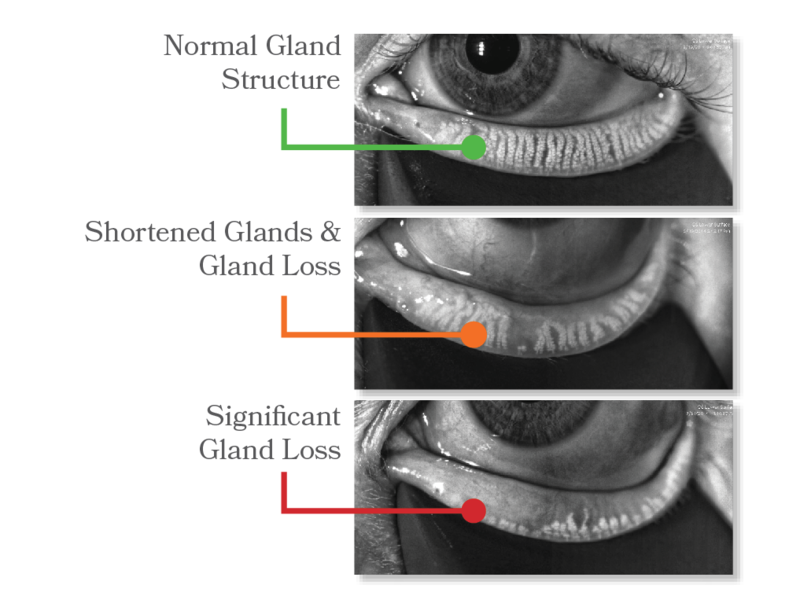 In office we assess these glands and formulate a tailored plan to improve overall ocular surface health. This includes lid hygiene, topical and oral supplements, discussion of lifestyle changes, and in office debridement of the lid margin and excavation of hardened material in the glands. 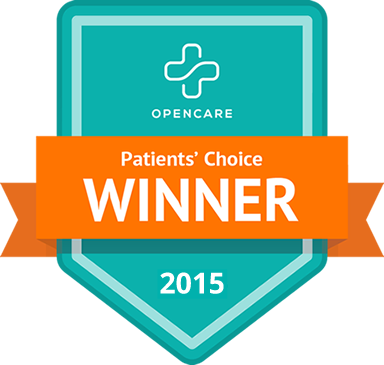 The best way to clear blocked glands is with a machine called Lipiflow. This is a quick in office heat and pulsation treatment that clears the blocked glands and allow natural flow of lipids to resume. Here at Myoptic, we are incredibly fortunate to have the newest and most innovative diagnostic technology and treatment options to continue to keep your eyes healthy.